Times are tough at Mukaida's Gym. Though a promising novice with a surprise win in his debut bout, Kosaku has since adopted a steady regimen of extremely unhealthy eating habits - enough to make his coach ready to permanently throw in the towel. Will Sister Angela's teachings help Kosaku realize that the road to victory is not paved with bowls of ramen? 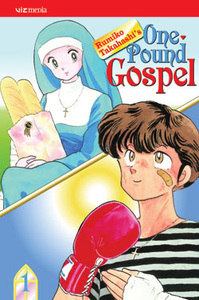 Or will Kosaku's burgeoning feelings for the young nun undermine his ability to concentrate on training, fighting and binge eating?